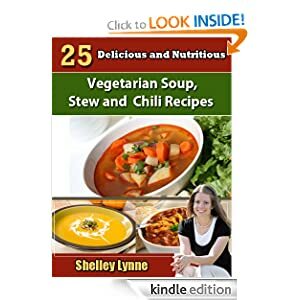 -- This collection of 25 vegetarian soup, stew and chili recipes from best-selling author Shelley Lynne is packed with meals that are not only nutritious, but also delicious! There is nothing like a big pot of delicious soup! It's easy to cook, satisfying and gives you leftovers for the next day.